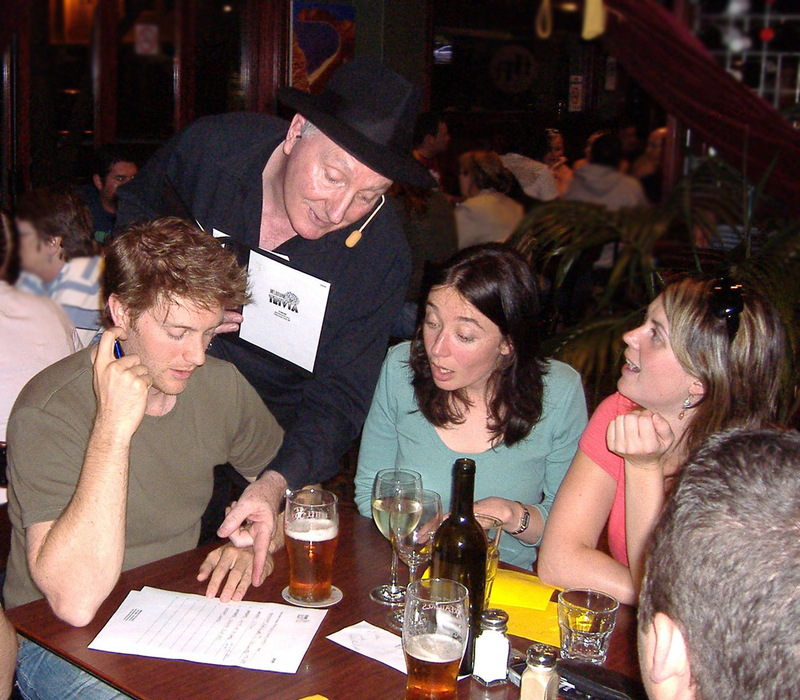 Weddings, Parties, Celebrations | Melbourne Trivia Co.
Having trivia at your party can be a fun alternative. It can also be a great ice-breaker if people at the party don’t know each other. Melbourne Trivia has entertained guests at birthdays, anniversaries and wedding receptions. It’s particularly good at a wedding where many of the guests don’t know anyone other than the bride and groom. We have an entertaining, interesting and funny range of trivia featuring multimedia and, of course, we include some questions relevant to the celebration. We bring everything needed for the trivia – you provide the guests, some prizes and the venue – we’re happy to come to your home or to a hotel or restaurant venue. We lower our fees for private parties because we like the idea. The price usually includes a meeting with you beforehand to discuss the details. Contact us for a firm no-obligation quote.